Here is a quick survey or summary of Genesis chapter 1 with a Bible study and associated questions. First of all, and before any creature was, God made heaven and earth out of nothing. Next, of all that is in the world, the universe and all things in it were created directly by God out of fiat, or out of nothing except His Word. This must be the cause for the effect of all created things. The universe could not have created itself because then it would have had to exist prior to its being created because if there was ever a time when nothing existed, nothing would exist now. Since we know that creation exists, there must have been a Creator and the creation is to the praise of His Name. The creation declares the glory and power of God and “proclaims His handiwork” (Psalm 19:1) and the creation cries out both night and day and “reveals [this] knowledge” (Psalm 19:2) to us. By the way, is this the actual beginning or is it really in John 1? What does science counter-argue about a beginning? They believed in the “Big Bang” but recently have changed their minds…again! The theories of mankind keep changing but God’s Word never does and what He states as fact has no need of change (Gen 1:1). We know that God is both light and the light of the world (John 1:4). The light was made before either the sun or moon was created: therefore we must not attribute that to the creature’s theories or the creation but the Creator. Light is in fact an attribute of God and God’s handiwork and that which could only belong to God because only God’s light can overcome darkness (John 1:5). God is always the source of this light (John 1:8-9) but mankind, before his new birth, always walked in darkness (Isaiah 9:2; 1 John 1:6). The Hebrew word for day is “yom” and is a 24 hour period…not days as in the plural form so we can conclude that the “day is as a thousand years” look at creation (2 Pet 3:8) is wrong and doesn’t fit the context of 2 Peter 3. 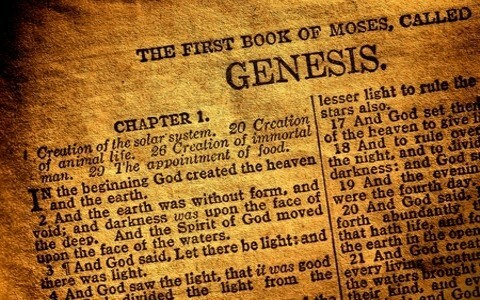 Neither does the text of Genesis 1 fit that the creation as being over thousands or millions of years because of the Hebrew language given, even though we don’t precisely know how old the earth is based upon these verses. God says that was in a day and not in days, years, or millions of years. Why were the waters divided? Was it all water at one time? Was it simply all clouds? All we know for sure was that God divided it and that’s enough for me. Perhaps the sea and rivers were divided from those waters that are in the clouds, which are upheld by Gods power. We know that God commands the seas to go to such a certain place and they can go no further (Prov 8:29). The firmament apparently is what is called the second heaven and is the region of the air and all that is above us where the birds will shortly fly below the clouds. Notice that the provisions for both man and beast and fowl had to be created first, so as to sustain them but was the statement “and it was so” the very moment of this occurrence or was it already so? Were the mountains already formed? Did it take millions or billions of years? Can we know? The text appears to show that God created the earth in a mature state because the herbs were already yielding seed and the trees were already bearing fruit then why do scientists date the earth 3.7 billion years old? Sinful mankind always attempts, unsuccessfully, to explain away God. From the text we do know that it’s only by the power of God’s word that He made the earth to be fruitful and to already be bearing fruit and seed. He didn’t have to wait for them to mature and come to seed or to bear fruit. Why was it good? It is still good today? If not, why not? Today we know that, after the curse, things are not as they were originally created to be. Certainly this signifies that God made all his creation, including all of His creatures (animals, birds, etc.) to serve for His glory and for the profit of man, however because of sin they were cursed, yet the elect and God’s creation, by Christ, are to be restored someday (Rev 21, 22). Was this light in the firmament only the sun and moon or did it mean the stars as well? Was the starlight already reaching the earth? Was the day “from sunset to sunset” as in the Hebrew tradition of the word “yom?” It must be so. Why are these to be “signs?” By the “lights” it appears that it means the sun, the moon, and the stars will tell us what season it is, just as we can tell today. Was aquatic life created at this point? Did the birds (fowls) and “moving creatures” already exist by this time? No, the waters prior to the creaturely life had already existed and had been already divided so that the creatures could have a place to live and multiply. Once again, God declares what He has created as “good” but what does it mean that everything was created “after their kind?” Did the fish and the fowls both have one beginning? The fish and fowls had both one beginning, in which we see that nature gives place to God’s will, in that the one sort is made to fly about in the air, and the other to swim beneath in the water. To be created “after their kind” would argue against the ability of creatures to evolve into another, distinct and completely different species, thereby debunking the theory of evolution. How could God tell the creatures to “be fruitful and to multiply” unless He had created them with that propensity? That is, it is by the virtue of His spoken word that He gave the ability to His creatures to reproduce. God never commands what He first does not enable. Again, why does Moses write that God said “Let us” make man in our image? What does it mean to be in the image of God since God is Spirit? Why were humans created after His own likeness and what does this likeness mean? What does God mean that man is to have dominion over the earth and the creatures? God commanded the water and the earth to bring forth other creatures: but of man He says, “Let us make…” signifying that God creates as a community and the “us” is surely the Three Persons of the Godhead doing the creation in unison, harmony, and cooperatively. The image and likeness of God in man might be explained in Ephesians 4:24 where originally, before the fall, man was in “the likeness of God in true righteousness and holiness.” When a person is born again, there is a “new self, created after the likeness of God in true righteousness and holiness” (Eph 4:24). How is it that God blessed them? Was it a necessary blessing for them to be able to “be fruitful and multiply and fill the earth?” God blessed who exactly? Was it the creatures or mankind or both? The “them” I believe is man — but wait — there was no woman yet so how can he be fruitful and multiply? We must remember that God looks at things that are not yet as though they already are (Isaiah 46:10). Does this mean “every herb” that God gave for mankind should be consumed? What about marijuana and poppy seeds which can be made into heroine or the plant from which cocaine can be made? It doesn’t say that God gave everything created for us to consume…He said “every bearing herb seed…and every tree in which is the fruit of a yielding seed” is to eat. Perhaps these now-illegal substances did not exist until after the ground was cursed (Gen 3:17) and only came to be after the curse like the thorns and thistles (Gen 3:18). Finally; we see that God breathed into man the breath of life so God is the Author of Life. Mankind creation is declared as fact and is contrary to the molecules-to-man theory that continuously changes, just like the recent scientific community’s shift away from the Big Bang Theory. The Bible is not necessarily a science book about the heavens, although it does contain some scientific facts…it is a book about how to get there and there is only one way to get there (Acts 4:12). When you consider how powerful God is, it is easy to believe that He created everything in a short amount of time. I am constantly amazed at the ardent atheist who clings to the idea that nothing created everything. Bless you, brother. I appreciate your kind words my brother and coming from such an outstanding apologetic writer such as you, that means a lot and may God richly bless you my friend.